As one of the front-facing components of your home, the garage door is susceptible to a wide range of damages. From an errant basketball striking your door to a nudge from the bumper of a car, any impacts or abrasions can sabotage the aesthetic quality of your garage door system and create the need for repairs or a replacement. Over time, these damages can evolve into bigger problems. If your garage door system is dented and in need of aesthetic improvements, it’s important to remember that these damages may have caused more problems with the internal elements. 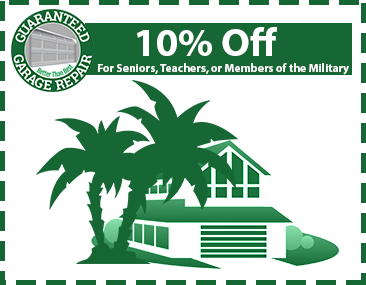 Instead of dealing with an unsightly door day-in and day-out, you can seek out our professional garage door repairs in Port St. Lucie and Jupiter. Guaranteed Garage Repair hires and trains the best staff in the state to ensure that you receive the absolute best service possible. When you are dealing with ugly, unsightly garage door panels, it’s best to reach out to a local garage door company such as Guaranteed Garage Repair for fast and effective results. Replacing one panel on your garage door may sound like a simple and cost-effective solution, yet the balanced nature of your overhead door system can make a new installation more of a challenge than most people realize. Matching dimensions. Your garage door repairs will need to center around the size and weight of your panels. Each style of garage door opener is designed for a specific door, creating a perfect balance between strength, cost, and durability. Failing to install the proper panel size can sap your door’s effectiveness and shorten its longevity. Matching styles. The sunny landscape of most garage doors can make it a challenge to find a replacement panel that matches the right style and color. If your garage door is still currently in production, you may be able to find a replacement panel. If your style is no longer in production, it can be a challenge trying to hunt down replicable results. Based on the age and condition of your current garage door, it can be very challenging trying to fit a new panel. If you need help, our team is here to provide garage door replacement services that you are so good that we guarantee it! Our garage door services ensure that your home’s curb appeal is at a premium after we are finished. 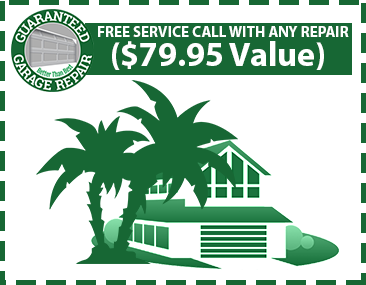 Our team of experts is here to provide comprehensive garage door repair and replacement services for your Florida home. If your panels are not looking as beautiful as they used to, we can work with you to find the best solution. We specialize in restoring garage door components back to their original glory when possible, and our technicians can provide repair services for dents, rust, holes, and some rot. If a complete garage door replacement is the best option, we’ll work with you to find the best options for your home and your budget. It’s important to utilize the best garage door services to ensure that your system is working 24/7. Otherwise, you may be left out in the cold! If your home could benefit from garage door panel replacements, be sure to fill out the form below or contact us for assistance!